If you’ve been waiting to book a session with me, now is the time! I am offering discounted mini-sessions Easter weekend, April 20 & 21st. 100% of your session fee will be donated to United Way of Greater Atlanta! Scroll down to learn more. When is the last time you took professional pictures? If you have been waiting or thinking of booking a session with me, then now is the time! I am hosting mini-sessions Easter weekend in Albany, Ga. benefiting The United Way of Atlanta. April 20th and the 21st I will be offering a limited amount of 20 minute sessions for a discounted rate. And the best part is, 100% of your session fee will be donated to The United Way. So you get to do good and look good too! These sessions are great for professionals needing headshots, couples, small families or individuals that would just like to have beautiful images of themselves. Scroll down to read more about the sessions and packages. Q: HOW MUCH ARE THE SESSIONS? A. Your session fee is $25. That will reserve your spot and cover a 20 minute session with me. Images are NOT included with the session fee. Image packages range from $99 to $275. You can choose and pay for your package on the day of your session. Scroll down for details on packages. Q: HOW DO I RESERVE MY MINI-SESSION TIME SLOT? A: These sessions are limited and will go quickly, you can start the booking process by contacting me so I can schedule your session. Just click the button below to get started. Q: WHERE IS THE LOCATION? A: I will send you the exact location once you have paid your session fee but it will be a park in Albany. I will also be sending you a reminder email with directions for your session once you’ve paid your session fee and the night before your session. I will include an exact location where you will meet me. Q: I HAVE A LARGE FAMILY, HOW MANY PEOPLE CAN I BRING? Mini-sessions have a very limited time frame, so I ask that you have no more than 5 people in your group or family. If you have more than 5, you may want to book multiple sessions or book a full session with me later. Q: HOW EARLY SHOULD WE GET TO OUR SESSION? A: Try to get to your session 10-15 minutes before your session time, but please wait near your vehicle until it is your session time so you don’t impede on another client’s session time. Some children (especially those who are shy/take time to warm-up) may benefit from arriving a few minutes early and looking around the location to get comfortable. Sessions are booked back-to-back with very little time between sessions. If you are late for your session, I will not be able to extend your session time as it will impede on another client’s time. Thanks for understanding. A: If there is rain or bad weather in the forecast, the sessions will be rescheduled and I will email you the night before to let you know of any changes. Q: WHAT IS THE PROCESS AFTER OUR SESSION IS COMPLETE? A: Within one week, you will receive an online gallery of watermarked fully-edited images from your session. You will not receive every image taken during your session. I will choose the very best images from your session to include in this gallery. Session galleries will include 10-20 photos. You can choose your images based on the package you chose at your session. Additional images will be available for purchase as well. Q: HOW CAN I USE MY IMAGES? CAN I PRINT THEM MYSELF? A: You will receive the printing rights for your photos for personal use. You may use your images on social media platforms and websites. 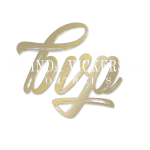 It is always appreciated if you tag Belinda Vickerson Photography when you post your photos. You may print your images at any lab of your choice, or you may order prints through your online gallery. Please be aware that certain consumer labs do not use the highest quality processing, and color/image quality may differ from what you see in your online gallery. I use a very high-quality professional lab, and I guarantee the quality of products ordered through my studio. Prints and canvases can be ordered directly through your gallery. I hope this answers all your questions, if you have additional questions, please feel free to click here to contact me. This package includes 4 edited digital images delivered via online gallery. This package includes 8 digital images delivered via online gallery. This package includes 10 edited digital images and a photo slideshow with your images.